Cauliflower Curry Tacos is yet another one of those crazy recipes that I tend to come up with. And the combination of flavors is just amazing. I’ve used steamed cauliflower as my body digests it much better than the raw version but it tastes just as great with raw cauliflower. Cut the cauliflower florets off the stem. You can now either steam them or use them raw. Chop up the pepper and toss it with the cauliflower florets. Peel the mango and blend it up with Garam Masala or curry powder. Pour the mango sauce to the cauliflower and toss to combine. 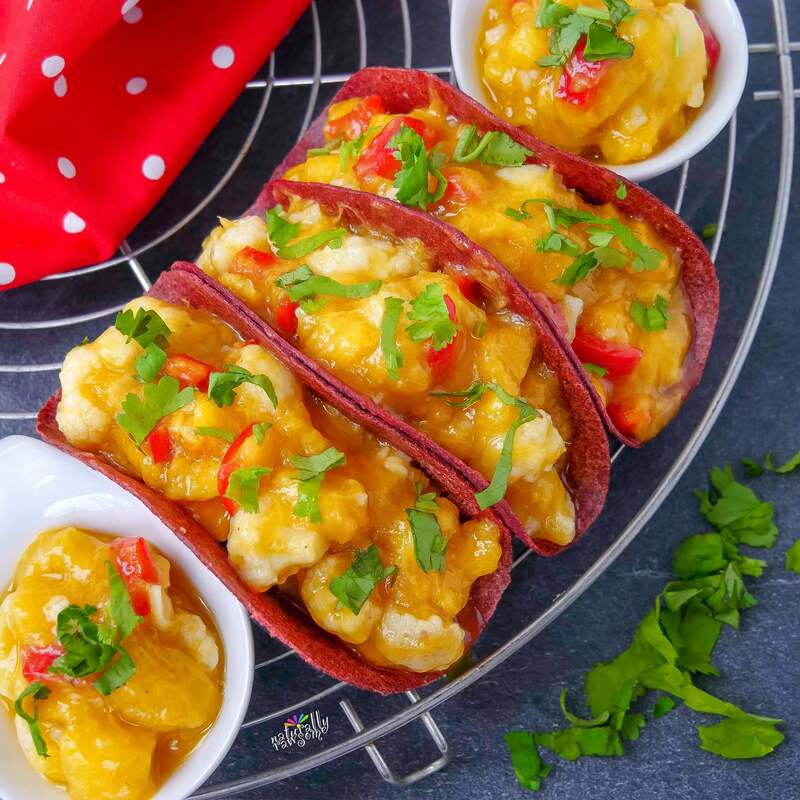 Now place your fruit paper tacos on a plate and fill them with the cauliflower curry. Sprinkle it with fresh chopped cilantro.